A Quick Guide to Practical Themes in the Gita ~ The Toronto Hare Krishna Temple! 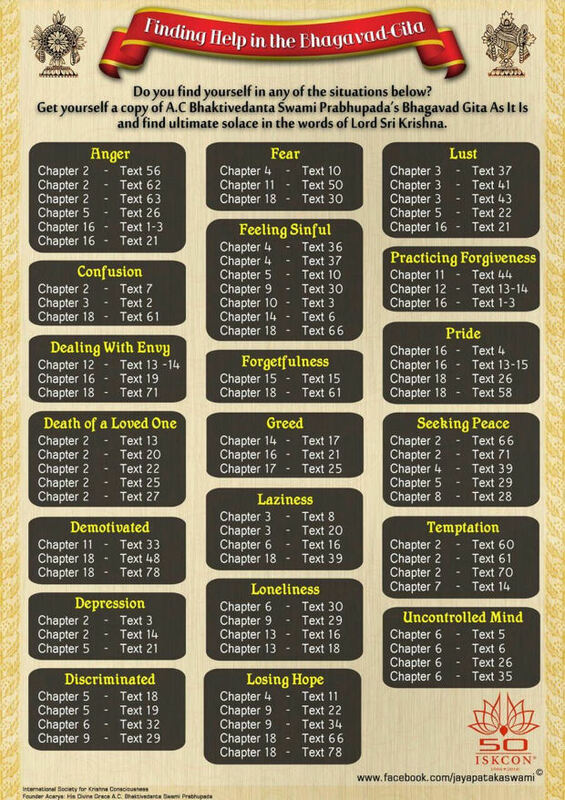 There is a neat little graphic that is circulating around the internet amongst devotees that offers a "quick reference guide" to key verses in the Bhagavad-Gita As It Is. It shows the verses in the Gita, grouped by topic or theme. Check it out below!